We are now halfway through the year! Have you seen Energy Star's 2016 Most Efficient list? We are proud to say that six of our high efficiency heating systems are on there! Check out the list below to see which units made the cut! EFT - Elite FT features a stainless steel heat exchanger with superior heat transfer and less exposure to corrosion and scale buildup. It requires little to no maintenance and is offered as a space saving wall mount unit. Featuring a fully modulating combustion system, it’s the best option for today’s green market. EFT Combination Series - The EFT Combination appliance represents the latest innovation in high efficiency space heating and hot water. This advanced modulating gas condensing boiler has up to 95% AFUE. The EFT Combi boiler is made of a durable high grade stainless steel fire tube heat exchanger and a stainless steel indirect storage tank. Elite - The Elite Boiler features the latest advancements in low mass modulating condensing boiler technology. With best-in-class features throughout the design, the most efficient product in the market at a competitive price. Its aesthetic appeal, versatility, and serviceability make it the right choice for residential hydronic space heating. Elite Premier - The Elite Premier is a low mass boiler with a 316L stainless steel heat exchanger. 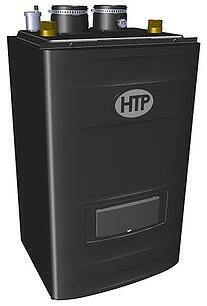 This unit reaches up to 399,000 BTUs and comes in seven models. This floor or wall mount system is good for residential and commercial applications. It is 96% efficient with a 10 to 1 turndown. 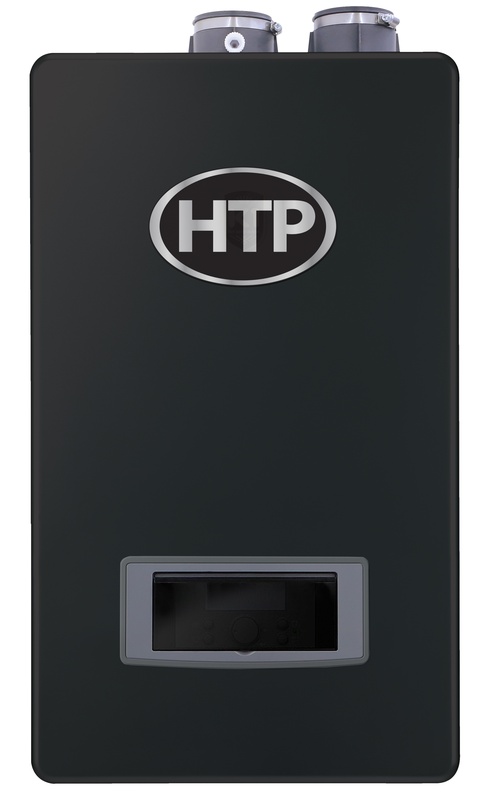 PHR Series - The Versa-Flame is the first unit to integrate an outstanding 55 gallons of thermal mass within a combination unit, ensuring abundant domestic hot water while also handling all space heating needs. Its all-in-one design results in considerable space, cost and energy savings, setting a new standard for environmental responsibility. 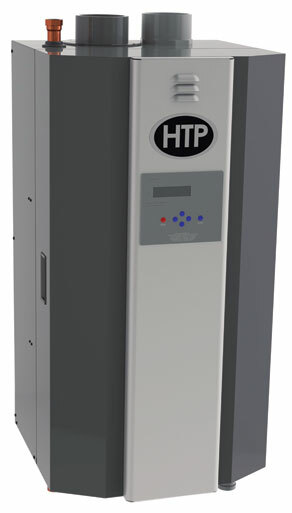 UFT Series - The UFT is HTP’s medium mass high efficiency boiler. This advanced modulating gas condensing boiler has a 316L stainless steel fire tube heat exchanger with a 95% AFUE rating. It is equipped with a state of the art gas leak detector and has ultra-low NOx emissions, making the UFT eco-friendly! You can view the full list of Energy Star's Most Efficient Boilers of 2016 here.